How happy will Bono be with your results? Two of Ireland’s biggest exports over the past quarter of a century have been U2 and Westlife. At first glance and listen, you might think that they’re quite different, but on paper can you tell you difference between their lyrics? 6. Will it make it easier on you, now, You got someone to blame? You scored 9 out of 9! You scored 9 out of 9! Bono is only delighted with you - He's definitely going to share how to get an offshore account with you. You scored 8 out of 9! You scored 8 out of 9! Bono is only delighted with you - He's definitely going to share how to get an offshore account with you. You scored 7 out of 9! You scored 7 out of 9! Bono is only delighted with you - He's definitely going to share how to get an offshore account with you. You scored 6 out of 9! You scored 6 out of 9! Bono is only delighted with you - He's definitely going to share how to get an offshore account with you. You scored 5 out of 9! You scored 5 out of 9! Bono is mildly pleased with your knowledge - If you ask nicely he might share how to get an offshore account and skip the whole paying taxes thing. You scored 4 out of 9! You scored 3 out of 9! You scored 2 out of 9! You scored 1 out of 9! You scored 0 out of 9! 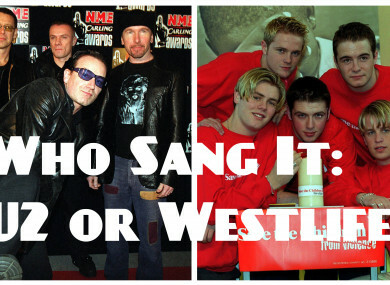 Email “Who sang it: U2 or Westlife?”. 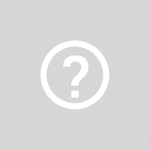 Feedback on “Who sang it: U2 or Westlife?”.